With UK audiences notably divided about his charms, or lack of them, James Corden appears to have relaunched his career very effectively in the USA, with rave reviews for his Broadway debut. 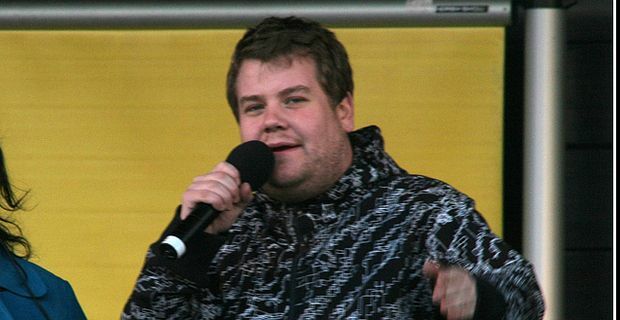 Corden, lauded and applauded for the sitcom Gavin and Stacey, appeared to have sabotaged his prospects in his home country. His sketch show with Mathew Horne was subjected to the kind of appalling reviews that were only surpassed by the levels of critical ridicule directed at the duo’s film Lesbian Vampire Killers. Corden seemed to underline his image as the graceless klutz when he cut off Adele’s acceptance speech at this year’s Brits, in what looked like an ugly clash of heavyweight egos. Corden has gone back to his first love, the theatre, for his latest success. One Man, Two Guvnors was a National Theatre success with a sellout West End transfer before it opened on Broadway. Now, hard-to-please American critics are reaching for the superlatives, and Corden is being singled out for particular praise. Ben Brantly in the New York Times was effusive, calling Corden, "the very embodiment of this show's artful anarchy. It is Mr Corden who both anchors this self-contained reality and dissolves it at will." The Washington Post crowned Corden "the king of fools on Broadway", and the Hollywood Reporter called him a "virtuoso ringleader". The critical acclaim is so resounding that it seems likely to launch Corden into a Hollywood career. The success makes the last four years of Corden’s career look like a series of mistakes. Presumably his agent will be desperately trying to track down and destroy every DVD of Lesbian Vampire Killers.